Chris Sale pitches into the eighth inning to collect his fifth win. 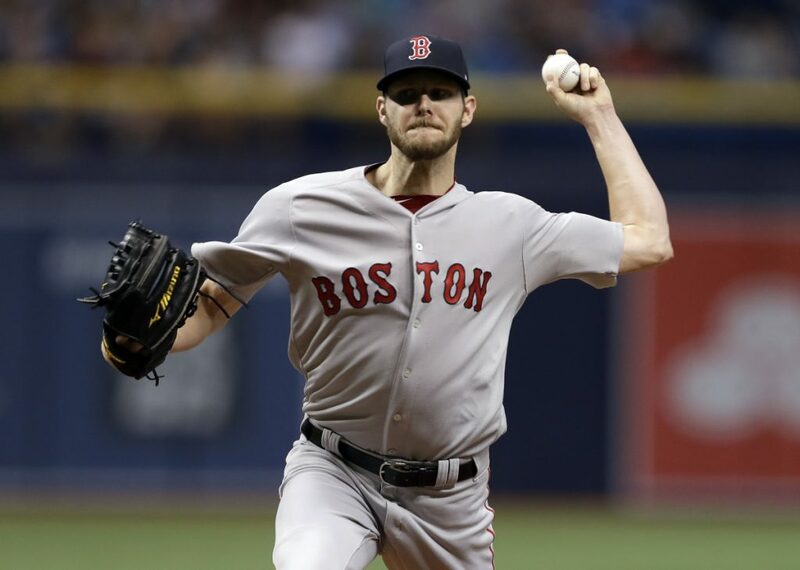 ST. PETERSBURG, Fla. — Mookie Betts hit his major league-leading 16th homer, Chris Sale struck out nine in 72/3 innings and the Boston Red Sox beat the Tampa Bay Rays 4-2 on Tuesday night. Willy Adames made his big league debut and hit a solo home run off Sale in his second at-bat. The 22-year-old shortstop went 1 for 4 with three strikeouts. He was acquired from Detroit as part of a three-team trade that sent Rays ace – and current Sale teammate – David Price to the Tigers on July 31, 2014. Betts hit a go-ahead, three-run drive in the third off Jake Faria (3-3), who left two batters later because of a strained left oblique. Faria was replaced with a 1-2 count on Hanley Ramirez by Austin Pruitt, who gave up one run in 51/3 innings. Faria allowed three runs and three hits in 22/3 innings. NOTES: Asked whether 2B Dustin Pedroia (left knee surgery) could return Friday against Atlanta, Manager Alex Cora said “it depends on how he reacts but he’s getting close.” Pedroia is on a rehab assignment with Triple-A Pawtucket.